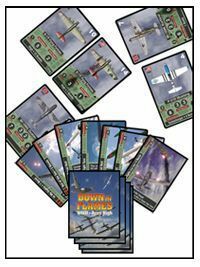 The card decks contained in the Down In Flames - Aces High game will accommodate up to 6 players. However, if you want to play monster air battles, this is the item for you! This is functionally an expansion as it ups the number of players in the game from six to twelve.